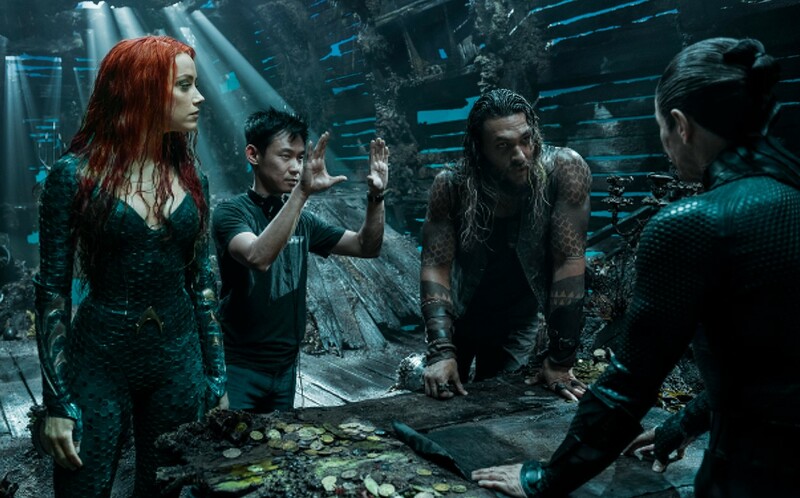 The Aquaman movie is the first DCEU movie to have reached and passed a billion dollars at the box office, with director James Wan and actor Jason Momoa taking to social media to comment on the numbers and thanks fans and those involved with the film. James Wan tweeted: "A few things to say... Firstly, this movie wouldn’t be what it is without the astonishing achievement of everyone involved, from the head of departments to every single crew member, who demanded upmost excellence in helping design and create this cinematic experience. Secondly, I’ll forever be indebted to Jason for turning Aquaman into one of the coolest, cinematic superheroes ever, and becoming the gold standard for this character for generations to come." Wan continued: "Huge THANK YOU to my amazing cast — Amber, Patrick (my rabbit foot), Nicole, Yahya, Willem, Temuera, Dolph, Ludi, Michael — for breathing life and wonder into our beloved characters. Finally, but most importantly — massive LOVE and THANK YOU to the fans and audiences around the world. Humbled by the way you’ve embraced Aquaman, and how it has resonated on a global scale." Wan concluded with: "THANK YOU from the bottom of my heart to everyone who has supported this underdog. For making this non-mainstream character (and yes — with leading POC individuals in front and behind the camera!) connect on such a huge global scale. In the words of Aquaman himself, 'MAHALO.'" Jason Momoa took to Instagram to post: "BILLION DOLLAR UNDERDOG. from baywatch to making what once was the most disrespected superhero into a billion dollar movie. no one gets to the top without the people that love them. My success is from my fans. All my aloha to everyone that had a hand in making this movie. Mahalo Zack for choosing me and mahalo James for creating this beautiful world." Aquaman's box office is at a current $1.02 billion and only trails Christopher Nolan's The Dark Knight Rises for the best DC film.